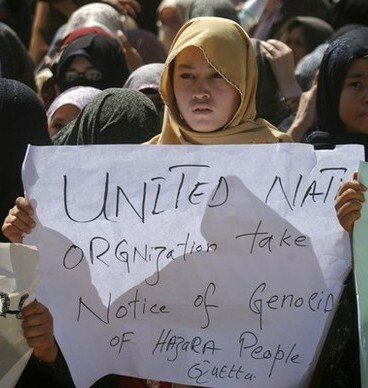 Reuters Pictures: Ethnic Hazara Shi'ite women hold placards during a demonstration in Quetta September 21, 2011 to condemn the shootout by unidentified gunmen, a day earlier. Gunmen opened fire on a bus in Pakistan's southwestern province of Baluchistan in a suspected sectarian attack on Tuesday, killing at least 26 Shi'ite Muslim pilgrims traveling to Iran, police said. (September 25, Chennai, Sri Lanka Guardian) Twenty-six Shia pilgrims belonging to the Hazara community were dragged out of a bus in which they were travelling at Mastung in Balochistan on September 20,2011, lined up and shot dead by unidentified gunmen suspected to be belonging to the anti-Shia Lashkar-e-Jhangvi (LeJ), which is close to Al Qaeda and the Taliban. Three others—-of unknown sectarian or ethnic origin— were killed subsequently. They were medical attendants who were in an ambulance which was rushing to the spot of the massacre. 2. 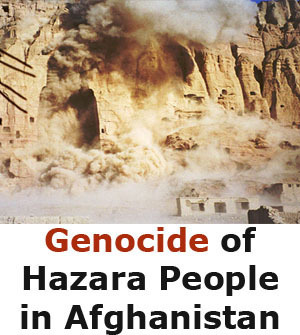 The Hazaras have been the frequent targets of attacks in Afghanistan as well as Pakistan by anti-Shia groups—-by the Taliban and the LeJ in particular. 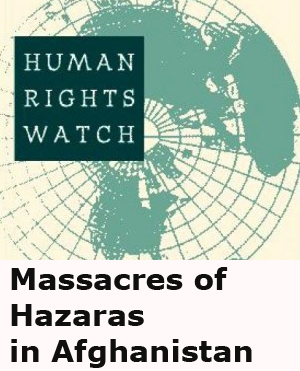 One would recall the massacre of the Hazaras in Afghanistan after the Taliban captured power in Kabul in September 1996 and allowed the LeJ to operate in Pakistan from sanctuaries in Afghan territory. 3. 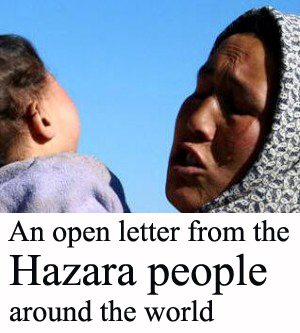 The Hazaras of Pakistan, who were suspected by Al Qaeda and the LeJ, of letting themselves be used by the US intelligence in its hunt for Osama bin Laden, subsequently became the targets of the LeJ. 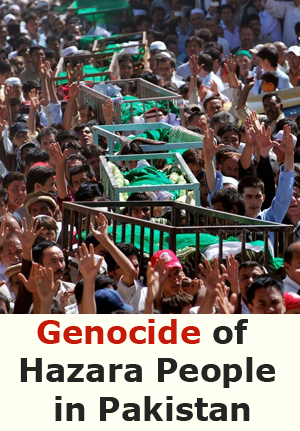 There have been many attacks on the Hazaras, who are to be found in large numbers in Balochistan. 4. Surprisingly, despite the suspected hostility of the Hazaras to Al Qaeda, the Taliban and the LeJ, Osama bin Laden chose to have his hide-out in Abbottabad, where there is a sizable Hazara community. Ever since bin Laden was killed by the US Navy SEALS in his Abbottabad hide-out on May 2, the LeJ has reportedly been suspecting that some members of the Hazara community of Abbottabad might have helped the US intelligence in tracking down bin Laden. 5. Since the death of bin Laden, there have been three attacks on the Hazaras in Balochistan by suspected cadres of the LeJ. There have been fears that the LeJ might attack the Hazaras of Abbottabad too—-but this has not happened so far. 6. The Shias of Pakistan in general and the Hazaras of Balochistan in particular have been living in dread ever since the release on bail by a court in July of Malik Ishaq, the leader of the LeJ, who was under imprisonment since 1997 facing charges in over 40 cases of terrorism—-many of them directed against the Shias and Iranians living and working in Pakistan. He was ordered to be released on grounds of weak evidence by the same judge (Justice Asif Saeed Khosa ), who was earlier a member of the Lahore High Court bench that had ordered the release of Hafiz Mohad Sayeed of the Lashkar-e-Toiba on the ground that there was no evidence to show that the Jamaat-ud-Dawa of which Hafiz is the Amir had any links with the LET, which was involved in the 26/11 terrorist strikes in Mumbai. Justice Khosa is now in the Supreme Court. 8.Fears that his hate speeches might lead to a fresh wave of attacks on the Shias of Punjab and Sindh have not materialised so far. 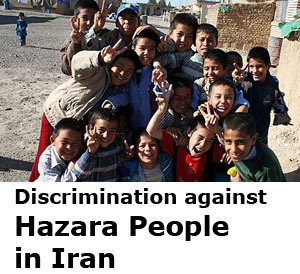 However, there has been a surge in the attacks on the Hazaras of Balochistan. Some reports allege that the Mastung massacre was actually in retaliation for an unsuccessful attack on a gathering of Sunni followers of Ishaq in Alipur by suspected Shia elements. 9. The Inter-Services Intelligence (ISI) had used the services of Ishaq and three others to negotiate with a group of terrorists who had raided the GHQ at Rawalpindi in October ,2009, and taken hostage a number of officers. Among others whose services were used by the ISI were Maulana Mohammad Ahmed Ludhianvi, the chief of Sipah-e-Sahaba Pakistan, from which the LeJ was born following a split, Maulana Fazlur Rehman Khalil, the Amir of the Harkatul Mujahideen (HuM) and Mufti Abdul Rauf, the younger brother of Maulana Masood Azhar the Amir of the Jaish-e-Mohammad. They were flown in special aircraft from different places in Punjab to Rawalpindi to help the ISI in securing the release of the hostages. 10. 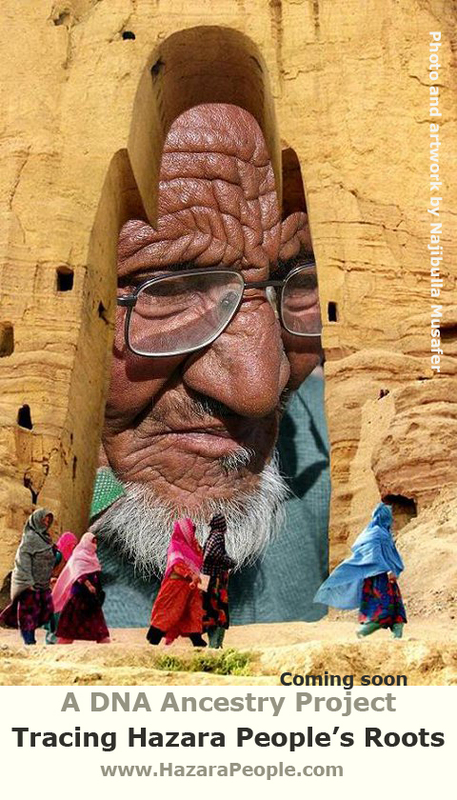 Following the Mastung massacre of the Hazaras, the Punjab Government has placed Ishaq under house arrest for 10 days.